Author Cherise Wolas scored a home run with her debut novel published in August 2017, The Resurrection of Joan Ashby. Highly acclaimed on publication it achieved bestseller status for literary fiction as one of the best books of the year. On this site it was reviewed as, “A stunning debut novel. The Resurrection of Joan Ashby by Cherise Wolas encompasses a wealth of superb writing, mature insights, and breath-taking risks.” Naturally, there has been a buzz of expectation around Wolas’ second novel, and here it is, scarcely a year later, The Family Tabor. The two books have interesting contrasts and similarities. There are the same luminous patches of writing, particularly lush descriptions of landscapes and other settings, as well as in much of the reflective prose, as characters wrestle the essence of their inner selves. Present is the same storytelling ability that makes it hard for the reader not to binge read. Yet the plotting is perhaps overly obvious in the second novel; it is easier to know where Wolas is headed. And some of the direct speech jars as it reads more like exposition than someone talking. In the first novel, Joan Ashby emerges as such a well-realized character that we can scarcely believe she does not exist, that she only lives in the novel and that we are not reading biography. There is little of that intimacy between reader and protagonists in The Family Tabor. 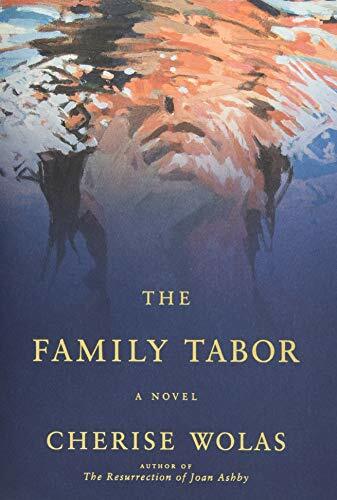 But this may be intentional on the part of the author; Joan Ashby is the eponymous character in that book’s title, whereas in this second novel the eponymous character is the Family Tabor. Just as a pack of cards is made up of individual cards that can be shuffled, arranged and rearranged into sequences and patterns, so can a family. And families are not limited to the nuclear present—mom, dad, children, and sometimes grandchildren but include two sets of generational families moving back in time as well as into the future. Follow that trail and you can soon arrive at 52 cards if you need them. But if you build a house of cards and one card is removed, that house collapses. Roma, the family matriarch knows this. This idea of family as the central character is an ambitious construct on Wolas’ part, and she deserves praise for attempting it. But unfortunately perhaps, it becomes the weakest part of the novel. Wolas tries to give each character equal time for the reader to know them but she probably needs 150–200 more pages to do so effectively. (She juggles five main characters.) The shift in voice and point of view are often confusing and interrupt and slow the narrative which is already hindered by overly long back stories. Some of the character issues are frankly unbelievable. (The patriarch, Harry Tabor, carries a deeply buried secret that will upset the family house of cards. The secret is submerged in his consciousness for 20 years. How can he not be aware of his misdeeds when their presence is in his face every day in the name of his company, CST, and that the secret is the source of how he finances his work? Why does eldest child Phoebe need to construct a lie about a nonexistent relationship? Why do these issues arise so prominently in this supposedly brilliant, worked out and successful family? The almost superficial treatment of these issues (and others pertaining to each character) hinder the book from delivering on its impact and promise. Wolas shows in both novels that she is not afraid to venture into “big themes”; in this book, secrets and lies, sibling relationships, marriage relationships, philosophical musings on time, repentance and atonement, the baggage and sometimes glory of history—both familial and historical. Toward the end of the novel, Simon, the only son, realizes that the world is not black and white “but a world made of whole cloth sewn in shades of grey.” He muses further on his research into Einstein’s beliefs on the fabric of time. Whatever the Tabors do as a family in the present becomes part of the past for future generations. Details of the impact of the Tabor family’s Jewish history and the way different characters do or do not relate to its reality, is central to the novel. For instance, Harry remembers listening when he was thirteen to a rabbi explicating the ways and meaning of atonement. This is a central memory that triggers Harry’s “baffling” actions. These quotes point to where Wolas could have delivered in major fashion on the novel’s impact and promise. She seems to feel the urge to move toward philosophical discourse in order to expand on her characters’ thoughts and emotions. In this book it is Judaic philosophy. Fascinating material. We receive tidbits, even some bigger bites, but we are titillated rather than satisfied. To illustrate this point, two novels (of many novels) that do deliver on that impact and promise are Toni Morrison’s Beloved, and Jonathan Franzen’s The Corrections. Both deal with well-developed characters in singular families, but these authors set their characters in the context of shattering socio-political dynamics on a large scale. Beloved tackles the unspeakable horrors of America’s struggle with slavery. The Corrections grapples with corrosive family dynamics in the 1990s in America, a decade of greed and corruption that entrenched the players in the unsustainable, oligarchical political system we are living with today. Clearly, Cherise Wolas is not yet in the ranks of our foremost literary fiction writers—but she can be one day. Perhaps she’ll take the time and space in her third novel to even more fully explore the rich veins of human experience she so instinctively taps into. Or perhaps she’ll turn to writing more popular fiction. That will be a loss for us all.